East Hampton will not be indulging Bravo’s desire to turn every corner of the world into an episodic shitshow. They have denied their permit application to film Summer House outdoors on town property, and most private businesses are following suit. “They can’t shoot on the beach. They can’t shoot on the street. They have to be on private property, and pretty much everyone has told them, ‘No way!’ ” local surfer/photographer James Katsipis told me. Other locals have vowed to disrupt filming with foghorns, mirrors and even wacky costumes, all of which I find hilarious. A Bravo spokesperson told Page six, “This show is not about Montauk and never was — it’s about the people in this house. We are shooting all over the Hamptons. So we have plenty of options.” Okay, byeeeeee. 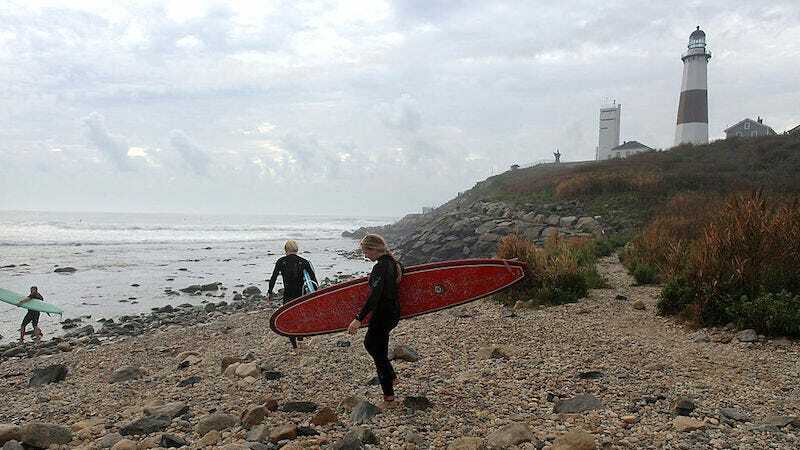 The existing tension in Montauk is usually between summer tourists from the city, extremely rich people who own homes they infrequently occupy, and regular people making a living. The show title implies that those young folk living it up at Gosman’s for two months would become the face of the area, an understandably horrifying possibility to people who barely tolerate the visitors keeping them economically afloat. 6/30/16, 2:15 pm: This story has been updated with comment from Gibson.